Last week I attended the fall meeting of the Oregon Chapter of the American Correctional Health Services Association. I have belonged to this organization for 30 years and have received a lot of professional support over the years, especially continuing education. These are my notes from an interesting presentation by Daryl Ruthven, M.D., CCHP, Director of Psychiatry for the Oregon Department of Corrections. Demanding, non-compliant, whining, threatening, somatizing, malingering, drug-seeking, mentally ill, frequent flyer are some of the ways difficult patients are described. Their behavior can be so obstructive that it’s possible to miss important information or data about them and compromise our clinical work. Certain personality types are more likely to take up more time when seen at sick call or in clinic. These include people with antisocial, borderline, narcissistic, histrionic, dependent or organic personality types. The first thing to remember is that the patient’s behavior is consistent with their personality type and not likely to change just because they are seeking health care. Reduce the likelihood of missing important clinical information by remaining non-judgmental about their behavior and objective during assessment and evaluation of their condition. 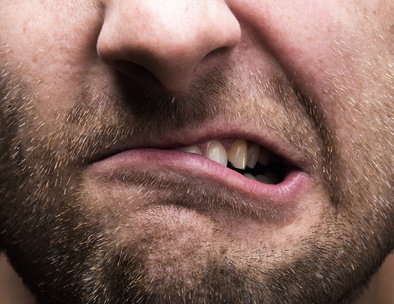 The Angry Patient: Unless the patient is brain damaged or intoxicated, anger is a response to fear or threat. The patient is afraid of something that either is or is not going to happen as a result of the encounter. Anger sometimes is used as a display to intimidate others. In this situation the patient may need to vent a bit first. Then try to figure out what the patient is scared or anxious about. They may not be aware that their anger is a response to threat and so it may take a bit of dialogue to identify the problem. A good question to ask is “What do you fear will happen?” or “What are you most concerned about?” The encounter should be terminated if the anger is escalating or becomes abusive rather than defusing. The Demanding Patient: Uses confrontation as a means to force a desired result. Demands are usually accompanied by a direct or indirect threat. Demanding behavior may be a result of fear, sociopathy, or poor assertive skills training or advice. Most patients are as interested in relief of a problematic symptom as they are in a specific outcome. With this in mind, remind the patient of the responsibilities each party has in the patient/provider relationship. The patient’s responsibility is to provide information about the problem and to decide whether to follow the plan of care suggested by the provider. The provider’s responsibility is to listen to the patient, assess the problem and determine the treatment options that are most appropriate to address the problem. The Splitting Patient: Pits staff against each other to create chaos and in the midst of the confusion achieves a goal. When a nurse (or other provider) feels confused or at odds with other health care providers about a patient’s plan of care it is a good sign that splitting is taking place. The most important action to take with a splitting patient is to bring the team together to agree on a consistent plan to manage the patient’s care. This should include developing a comprehensive treatment plan (including custody and mental health staff) and reviewing it together at regular intervals. The Threatening Patient: The facility or health care program should have no tolerance for physical threats and train staff in how this kind of behavior is addressed. The specifics of threatening behavior should be documented thoroughly in a report of the incident. Threatening legal action is very common. Suggestions here are to know enough about the law to appreciate how poor health care must be before a finding of “deliberate indifference” and “cruel and unusual punishment” can be made. Staying up to date with the literature and competent clinically along with thorough documentation protects nurses from tort liability. Basically providing and documenting good nursing care provides sufficient protection from legal threats. Conclusions: Finally, don’t respond unprofessionally to the difficult patient by yelling, use of sarcasm, counter threatening or reacting emotionally. These responses undermine the power of the provider in the relationship with the patient and can destroy the reputation and authority of the clinician. Difficult patients do have health problems that need to be identified, assessed and treated. These patients also have something that they are scared of or bothering them. Asking “What are you most concerned about?” or “What do you fear will happen?” may help identify this underlying problem so it can be addressed. Set limits that are appropriate to the responsibilities of each in the provider/patient relationship. Discuss the patient’s options calmly and clearly. Seek help from others to manage difficult patients. Take care to prevent becoming jaded, desensitized or overwhelmed by difficult patients by taking regular time off and developing interests and relationships outside of work. What tips do you have to manage an encounter with a “difficult patient”? Add to the advice given here by responding in the comments section of this post. There is much more on this subject in the Essentials for Correctional Nursing. Lorry Schoenly discusses working with difficult patients in Chapter 4 Safety for the Nurse and the Patient. Also Roseanne Harmon describes care of patients who have personality disorders in Chapter 12 Mental Health. Order your copy directly from the publisher. Use promotional code AF1209 for $15 off and free shipping. This entry was posted in Assessment, Patient Safety, Professional Practice and tagged Catherine Knox, correctional nursing, Essentials of Correctional Nursing, jail nurse, Personal Safety, prison nurse. Bookmark the permalink. Catherine has highlighted the important areas discussed in this talk about difficult patients. The word difficult is loaded with emotion and is a broad topic and can include a super nice person who says yes and does not follow the care plan.